This 12"x 12" Paper Pad contains forty-eight (48) Single Sided Designer Papers. You'll find two (2) Sheets of each Design. 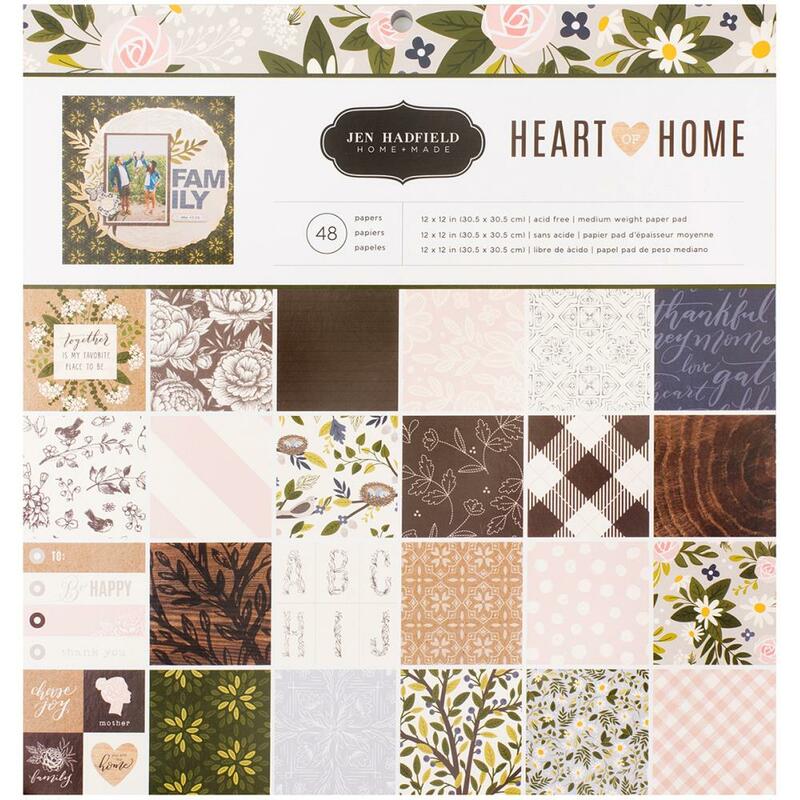 Part of the Heart of Home Collection by Jen Hadfield / Pebbles Inc.